If you are going to build, remodel your house, you need to choose the best quality material. Choosing aluminum, you completely know that you are choosing an outstanding material with high endurance. 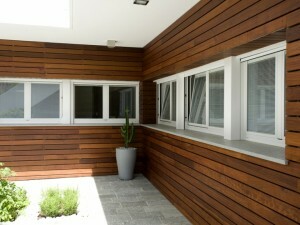 Aluminum windows are the perfect choice for any building or house. To properly install the aluminum windows it is very important to verify that the new measurements of the window correspond to the light opening. This verification is very important, in installing the new window frame in the opening, you will know where the new frame will be placed. This way you will know where exactly to drill for the new framework achieving the proper and correct spacing. This rule serves for any type of aluminum windows such as: hinged windows, sliding windows, tilt and turn windows, or swinging windows…. Also take into account that aluminum windows that do not carry thermally insulated bridges, traditionally more common in Tenerife and the rest of the Canary Islands are poor thermal insulators; losing heat during winter and letting in heat during the summer. For that reason, it is of great importance for you to verify, when you are seeking installation to make sure your new window products carry thermally insulated bridges.